We can respond to your request for an inspection and furnish you with a complete comprehensive report within 24 to 48 hours if necessary. What is a pre puchase inspection? It is a visual inspection of accessible areas and structures of the property and provide you assessment of the dwelling and immediate surrounds at the time of the inspection. We thoroughly inspect and provide a comprehensive report within 24 hours. We cover all of Melbourne, the Bellarine Peninsula. 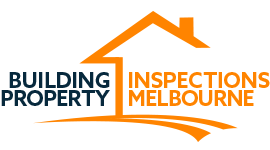 Please contact the experts at Building Property Inspections Melbourne for the most competitive best building and pest inspections around Melbourne. Master Builders is Queensland’s largest building industry membership organisation representing approximately 10,500 members in the building and construction industry. A Master Builders membership is an essential resource for anyone working in the building industry. The Institute of Building Consultants (IBC) became a Division of Master Builders in 1994 and is made up of a variety of property related professionals. The IBC currently has a membership base of approximately 200 and is a founding member of the MBA National Building Consultants. Find an IBC member. Members of the IBC have met acceptable industry standards for professional competence, professional ethics and client care. The Housing Industry Association is Australia’s largest residential building organisation. Members include builders, trade contractors, design professionals, kitchen and bathroom specialists, manufacturers and suppliers. The Queensland Building and Construction Commission (QBCC) is the state’s building and construction industry regulator. Queensland Building and Construction Commission is a statutory body and is part of the portfolio of the Minister for Housing and Public Works. QBCC was established under the Queensland Building and Construction Commission Act 1991 (QBCC Act) to regulate the building industry. Is produced and maintained by the ABCB on behalf of the Australian Government and State and Territory Governments. The BCA has been given the status of building regulations by all States and Territories. Formed by a group of professional tilers that belief in high standards and quaility outcomes, the Australian Master Tilers Association is committed to providing national standards for professionalism, skills and knowledge. Is your tiler a member of the mater tilers association? Over the next few decades the risk of coastal inundation is expected to increase due to sea level rise and possible increases in storm intensity. Thermal imaging technology is often used to identify and locate termite risk areas and possible problems, but is not suited to confirming the presence of small amounts of termites and structural damage. The Sustainable Homes program is an initiative of the Queensland Government’s and provides the industry and communities throughout Queensland with display homes which incorporate principles of sustainable design and performance utilising the Smart & Sustainable Homes Design Objectives. From 1 May 2010, a 6-star energy or equivalent rating will become the minimum requirement for all new houses and townhouses (class 1 buildings) and enclosed garages (class 10a buildings) attached to a class 1 building in Queensland. New houses and townhouses and major renovations to these buildings must achieve a minimum 6-star energy equivalence rating from 1 May 2010. Water savings targets under Government review. GreenPainters is a non-profit organisation providing advice, knowledge and skills to help get the best environmentally-friendly, non-toxic coating for painting and decorating projects around Australia. The institute supports its members in promoting better, responsible and environmental design, the Institute actively lobbies to maintain and improve the quality of our built environment. Raising design standards in our cities, urban areas, commercial and residential buildings, architects and the Institute have a major role in shaping Australia’s future. The Institute plays an important role in industry research through the collection of cost data and the publishing of the Current Construction Costs. It also publishes,The Australian Standard Method of Measurement of Building Works (5th Edition) and cooperates with tertiary institutions on research programs. The Australian Society for Concrete Pavements (ASCP) is an Australian not-for-profit organisation which aims to facilitate improvements in the design, construction and quality of concrete pavements in Australia through education, technology transfer and research. The Building Designers Association is a dynamic organisation whose members have proven technical and design competencies. Design work includes residential, multi-residential, commercial and industrial buildings providing clients with the expertise in design and documentation to meet all the stringent requirements of local government building approval. Membership of the Building Designers Association of Queensland (BDAQ) is open to building designers who are licensed by the Queensland Building Services Authority (BSA) in any of the Building Design or Builders Licence classes. Heritage Conservation, Monumental Masonry and Building are delicate processes which often require specialised skills. Queensland Heritage Masonry has experienced and trade qualified stonemasons that combine modern technology with traditional craftsmanship to ensure the very best quality work. concrete technology, application, design and construction throughout Australia. The CMAA publishes technical manuals, data sheets and software packages. The Association also conducts workshops and courses and provides a technical advisory service for the construction industry and other users of concrete masonry products. Master Painters Association is a Union of Employers for owners of painting businesses in Queensland. Master Plumbers are installers of Gas, Water Reticulation and Irrigation Systems, Fire Protection Services, Heating and Cooling, Mechanical Services/Air Conditioning Systems, Sanitary Disposal, Drainage, Metal Roofing, Wall Cladding and other Plumbing Services. A trade association dedicated to maintaining and improving standards within the industry for the betterment of consumers, pool builders and suppliers. Is the peak organisation for the state’s real estate industry. Brisbane Property Brokers (Aus) is a company that specialises in Investment properties in Queensland. For more information logon to their website.